Timothy Zachery Mosley (born March 10, 1972 in Norfolk, Virginia, United States) is a Grammy award winning record producer, rapper and singer whose style of production and arranging was very influential in music during the mid-1990s. With partner Magoo, he is a member of the hip hop group Timbaland & Magoo and is the older brother of rapper Sebastian. He released his debut solo album, Tim's Bio: Life From Da Bassment in 1998, followed by Shock Value in 2007, and its follow up, Shock Value II in 2009. He has produced hit tracks for many artists and has his own record label, Mosley Music Group. Timbaland is similar to producers such as Norman Whitfield in that he helped to redefine the sound of an entire genre of music with an immediately recognizable production style. The songs he produces feature unusual arrangements, sounds, and instrumentation, tied together by a trademark sense of rhythm. Like Spector and Whitfield, Timbaland's production sometimes overshadows the credited performer and becomes the actual "star" of the song. With songwriters Steve "Static" Garrett and childhood friend Missy Elliott, Timbaland has helped to create some of the most successful songs in modern pop music and urban music, including singles for Aaliyah, Ginuwine, SWV, Total, and 702. Mosley grew up in Norfolk, Virginia, where he became acquainted with Missy Elliott and Melvin Barcliff, whose MC name was "Magoo." Originally a disc jockey known as "DJ Timmy Tim," Mosely began making hip-hop backing tracks on a Casio keyboard he owned. In 1993 Elliott heard his material and, taken by Mosley's unique sense of rhythm, immediately began working with him. Elliott and her girl group Sista auditioned for DeVante Swing, producer and member of successful R&B act Jodeci. Devante signed Sista to his Swing Mob label, and Elliott brought Mosely and Barcliff along with her. Mosely began working under Devante, who renamed the young producer Timbaland, after the Timberland boot popular in hip-hop fashion. Sista and Timbaland & Magoo became part of Devante's stable of Swing Mob signees known as "Da Bassment" crew, joining artists and groups such as male singer Ginuwine, male vocal group Playa, and girl group Sugah. 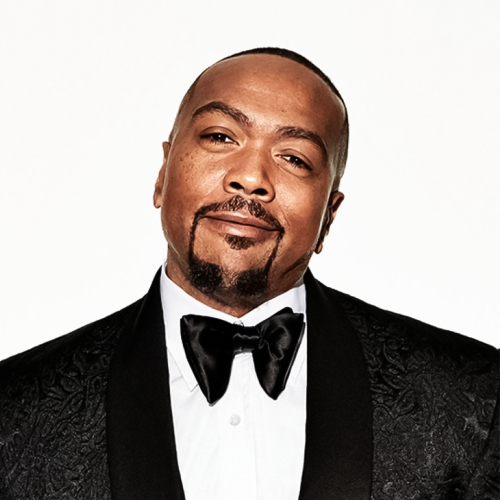 Timbaland did production work on a number of projects with Devante, including the 1995 Jodeci LP The Show, The After-Party, The Hotel, and Sista's debut LP, which was shevled and never saw release. Timbaland was also friends with Pharrell Williams, and had dabbled in projects with him as S.B.I., or Surrounded By Idiots. Pharrell recalls in an interview: "“In seventh grade I met Chad. That’s twenty years ago by now. Like I said earlier, we started producing beats together. But then again, I also played with this famous group which consisted of Timbaland, Magoo, myself and some other guy. Chad wasn’t a part of the group, so I was in The Neptunes and in Surrounded By Idiots at the same time.” A few tracks produced by the group float around on the internet, the most distributed being "Big White Spaceship". In 1995, most of Devante's acts broke their ties with the producer and went their own ways. Elliott, Timbaland, Magoo, Playa, and Ginuwine continued to collaborate, and began working on individual projects of their own. Elliott began receiving recognition as a songwriter and guest artist for artists such as 702 and MC Lyte, and Timbaland was sometimes assigned to produce remixes of Elliott-penned songs. One of these, the remix to 702's "Steelo" in 1996, became Timbaland's first important production credit. Also in 1996, Ginuwine released his debut album, Ginuwine...the Bachelor, which was produced entirely by Timbaland. The album was both a commercial and critical success, and its first single, "Pony," was the first example of what would later become the signature Timbaland sound. The track for "Pony," which Timbaland had created two years prior during the Swing Mob days, was characterized by a shifting, syncopated rhythm, similar to samba or jungle music, which used snare and kick hits on typically non-accented beats in the measure. Stuttering high-hats typical of southern bass music accompanied the basic drum sounds, which were, unusual for hip-hop and R&B of this period, severely gated to create short, strong sounds. This use of the "short snare" is in marked contrast to the "long snare" sound in New Wave music in the 1980s, which featured a heavily amplified, almost white noise snare drum put through reverb. Accompanying the unusual rhythm were melody lines created by playing odd sound effects (vocal effects and cartoon slide whistles) through a sampling keyboard. The other tracks on Ginuwine...the Bachelor also featured similar production and arrangements. On many of the tracks, Timbaland can be heard either rapping or providing ad-libs, similar to what both Elliott and Puff Daddy where doing at the time; Timbaland's deep voice was usually vocoded to give it an electronic sound. While work was being completed on Ginuwine...the Bachelor, R&B artist Aaliyah contracted Timbaland and Missy Elliott to write and produce most of her second album, One In A Million. The tracks that were crafted for Aaliyah featured innovative arrangements similar to those on Ginuwine...the Bachelor. One In A Million went on to sell over two million copies, and made superstars out of not only Aaliyah, but Elliott and Timbaland as well. Elliott and Timbaland became one of the most successful and prolific songwriting/production teams of the late-1990s. By the end of the decade, Timbaland's sound had been heard in records from artists such as SWV, Destiny's Child, Nicole Wray, Jay-Z, Nas. Most of his production work during this period was reserved for his original stable of collaborators: two Missy Elliott albums (Supa Dupa Fly and Da Real World), a second effort by Ginuwine (100% Ginuwine), and Playa's debut album (Cheers 2 U). Timbaland produced much (if not all) of the material on many of their albums during this period, and also made two albums of his own: one with Magoo, and one solo album. Timbaland's own raps, which were usually ghostwritten by Elliott, Magoo, or his younger brother Garland Mosley (AKA Sebastian), were almost always accompanied by other MCs, including his main collaborators and numerous guest artists. Timbaland spawned a plethora of imitators, some of which went as far as to sample sections of his work to create similar-sounding tracks. The popularity of the "Timbaland sound" marked a shift in hip-hop music from rougher, sample-based tracks to simpler, more synthetic musical accompainiment (unlike many hip-hop producers, Timbaland rarely sampled older records; most of his tracks were crafted by him and his in-house band). Since Timbaland worked in both hip-hop and R&B and often combined elements of one in tracks for the other, his work aided the blending together of the two genres, which became less and less distinct during the first half of the 2000s. Foreign, especially Asian, instrumentation is present through much of his early work (Xscape's "My Secret" remix, especially, with a rollicking sitar outro and Timbaland ad-libbing "Let's take a little trip...to India"), but was most successful and prevalent with Jay-Z's "Big Pimpin'" (1999), which borrowed directly from the song "Khosara" by Egyptian composer Baligh Hamdi. Missy Elliott's 2001 hit single, "Get Ur Freak On" from her third album, Miss E...So Addictive, was also likewise a smash, using a speedy dhol drumline typical of Bhangra. His borrowing from these cultures has resulted in mixed reactions, with many critics embracing his musical adventurousness and eclecticism and more esoteric, purist factions reacting catiously, and sometimes negatively. In an interview with Missy Elliott in RayGun Magazine, he mentioned a diverse base of influences, from UK Drum 'N Bass to Garage. Timbaland-produced songs such as Ludacris' "Roll Out (My Business)," Jay-Z's "Hola' Hovito," Petey Pablo's "Raise Up," and Beck's "Diamond Dogs" were recorded and released during this period, and he contributed to Limp Bizkit's 2001 remix album, New Old Songs. He also contributed three songs--all eventually released as singles--to Aaliyah's self-titled third album. Timbaland & Magoo's second album together, Indecent Proposal, had been scheduled for release in November 2000, and was to feature appearances by Beck, Aaliyah, and new Timbaland proteges--some of whom were signed to his new Beat Club Records imprint--Ms. Jade, Sebastian, Petey Pablo, and Tweet (who was a member of Sugah during the Swing Mob days). The album was delayed until for an entire year, finally being released the following November, and was a commercial disappointment. Beck's vocals for the track "I Am Music" were not included on the final released version, which instead featured Timbaland singing alongside Static (Steven Garrett) of Playa and Aaliyah, who had been killed in a plane crash three months before the release of the album. The loss of Aaliyah deeply affected Timbaland, whose work was less omnipresent after 2001. The first release on Beat Club was the debut album by Caucasian MC Bubba Sparxxx in October 2002, Dark Days, Bright Nights. Timbaland contributed three tracks to Tweet's debut album, Southern Hummingbird, and produced most of Missy Elliott's fourth and fifth LPs, Under Construction and This Is Not A Test! He also produced hit singles and album tracks for artists such as Li'l Kim ("The Jump Off") and Pastor Troy during this period. Collaborating with Scott Storch, Timbaland also produced a number of tracks on former *NSYNC lead singer Justin Timberlake's solo debut, Justified, including the hit single "Cry Me a River". Late in 2003, Timbaland delivered the second Bubba Sparxxx album, Deliverance, and the third Timbaland & Magoo album, Under Construction, Part II. Both albums were released to little fanfare or acclaim even though Deliverance was praised by reviews and embraced by the internet community. Timbaland continues to produce hit singles and albums for artists; in 2004 Timbaland-produced singles by LL Cool J, Xzibit, and Jay-Z became staples on urban radio, and he produced the bulk of Brandy's fourth album, Afrodisiac. New songs from artists such as Tweet and The Game are set for release in 2005. 2005 saw Timbaland producing a song on Tweet and The Game's albums ("Steer" and "Put You on The Game" respectively). He also produced 2 songs on Missy Elliott's 6th album (The Cookbook), "Joy" featuring Mike Jones and "Partytime." Timbaland started his new label, Mosely Music Group, once again under Interscope. On the label are singers Nelly Furtado and Keri Hilson, and rapper D.O.E. Timbaland's parternship and mentorship of upcoming producer Nate "Danjahandz" Hills is evident in Timbaland's rejuvination in music. Furtado looks to have her third album, Loose, released under MMG with in the first half of 2006 with Hilson's debut following shortly after. Timbaland is also slated to work with Justin Timberlake, Hilary Duff as well as albums by Jamie Foxx, JC Chasez, Busta Rhymes, Diddy, Ludacris, Chingy, Chilli of TLC, Tweet, and a lot more. In 2006, Timbaland produced songs "Promiscuous" "My love" and "Sexyback" topped the charts for over fourteen weeks. In 2007, the tracks "Say It Right" and "What Goes Around" also topped the charts. The year 2007 also saw the release of his album "Timbaland presents Shock Value" which featured Fall Out Boy, The Hives, Elton John, Nicole Scherzinger, Justin Timberlake, Nelly Furtado, Missy Elliot, Sebastian (his brother), Keri Hilson, Money, Attitude, and Jim Beanz.